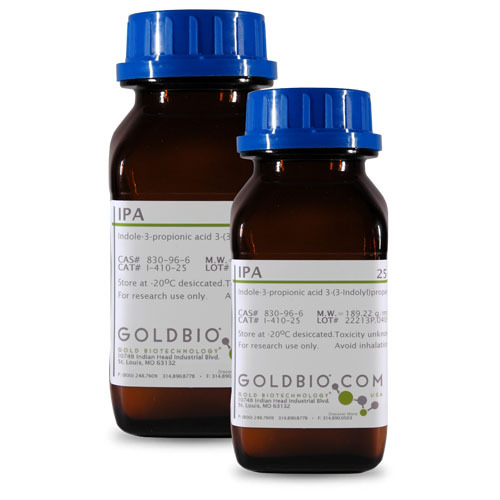 Through inhibition of superoxide dismutase, IPA has shown to protect against oxidative damage in primary neurons and neuroblastoma cells. IPA has also shown to protect against death caused by exposure to amyloid β-protein in primary neurons and neuroblastoma cells. Chyan Y., Poeggeler B., Omar R.A., Chain D.G., Frangione B., Ghiso J., Pappolla M.A. (1999). Potent Neuroprotective Properties against the Alzheimer Amyloid by an Endogenous Melatonin-related Indole Structure, Indole-3-propionic Acid. J. Biol. Chem 274: 21937-42.